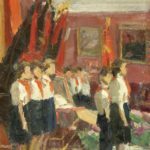 Soviet artist Igor Rubinsky was born in 1919 in the town of Klimovichi, Belarus. 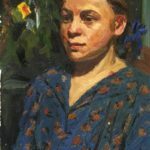 In 1935 he took part in the Youth Art Exhibition in Moscow (watercolor, genre). 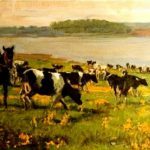 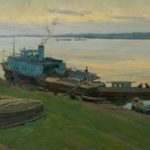 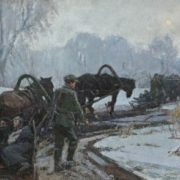 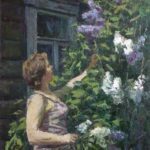 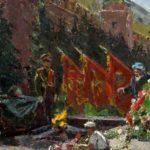 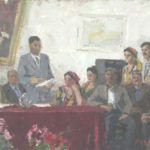 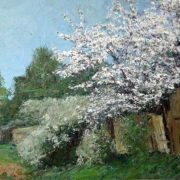 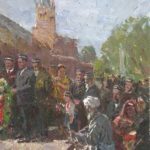 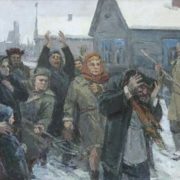 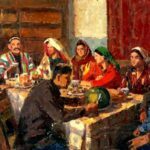 As a result of the exhibition with the recommendation of Professor Brodsky he was admitted to the Academy of Arts of Ilya Repin (Leningrad). 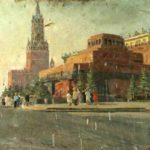 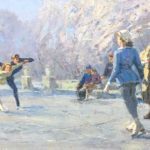 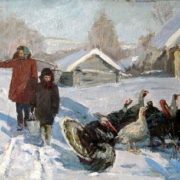 In 1936 – 1942 he studied at the Moscow State Art Institute named after VI Surikov in the studio of Professor Sergei Gerasimov. 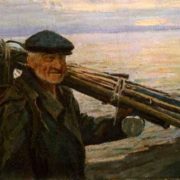 In 1941-1945 he fought in Great Patriotic War against German invaders – Igor Pavlovich is a veteran of World War II. 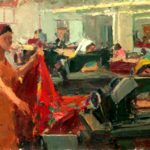 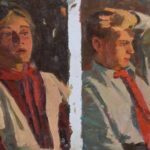 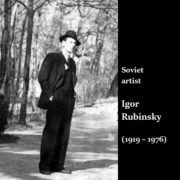 Since 1946, Igor Rubinsky has participated in more than 60 Soviet art exhibitions (All-Union, republican, Moscow), as well as group art exhibitions in England, Italy. 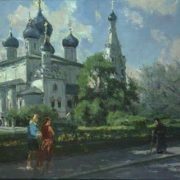 In 1976 he held a personal exhibition in Moscow. 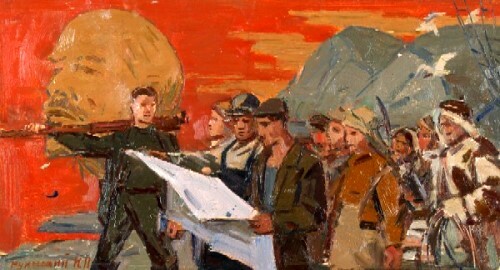 His works are in museums in Russia (Murmansk, Petropavlovsk-Kamchatsky, Arkhangelsk, Moscow State Museum, Central Asia (Tashkent, Samarkand, Khiva, Bukhara), in the Museum of the Great Patriotic War (Moscow), as well as in private collections in England, Italy, Japan, Switzerland, France and others. 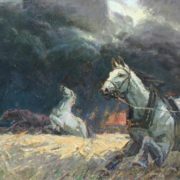 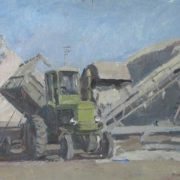 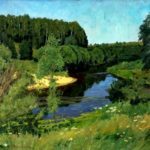 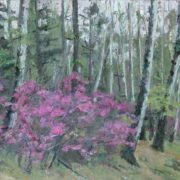 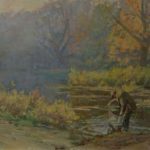 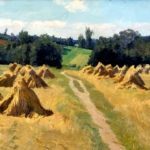 The Soviet artist Igor Rubinsky – master of genre painting, fine soulful landscape. 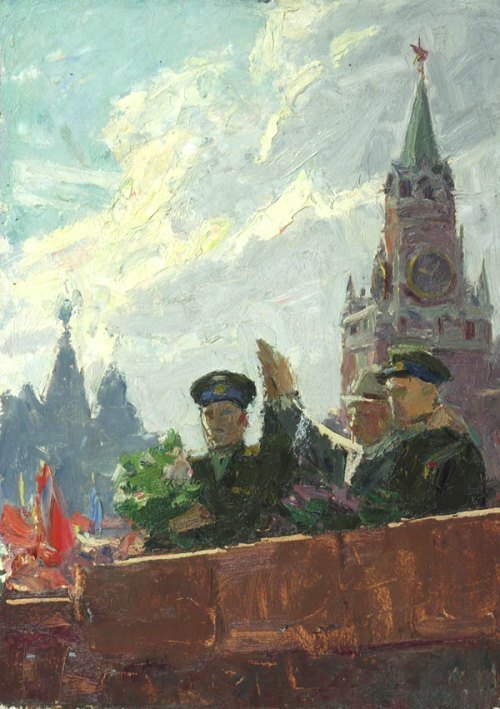 Widespread fame brought to the artist works on the theme of Soviet youth “Graduation Ball on Red Square”, “Graduation maturity”, “Celestial brothers”, “Steelworkers”, widely published in Soviet periodicals. 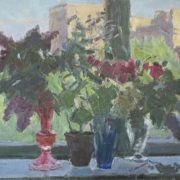 Igor Pavlovich – Honored Artist of Russia (1995).